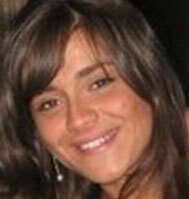 Marika joined INEGMA as Non-Resident Analyst in 2011. She holds a BA in Middle Eastern Studies from Ca’ Foscari University of Venice- Italy and an MA in International Studies and Diplomacy from SOAS (School of Oriental and African Studies) in London-UK, where she concentrated on conflict and international security. She previously worked at the OSCE (Organization for Security and Cooperation in Europe) Mission to Serbia in Belgrade and at ALDA (Association of Local Democracy Agencies) Europe, focussing on civil society in the Balkans, Caucasus and Mediterranean. She studied Arabic in Yemen, Syria and Egypt.